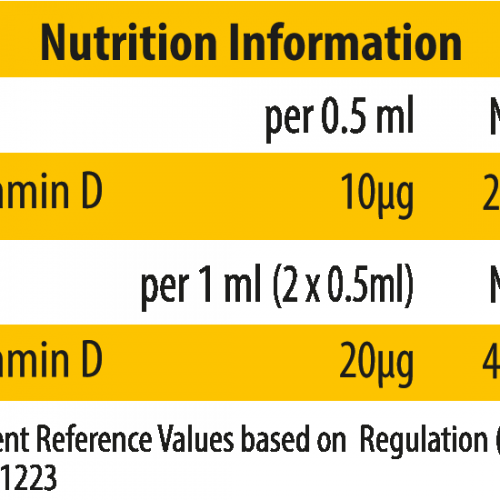 It is scientifically proven that Vitamin D contributes to a normal function of the immune system, the maintenance of bone and to maintain normal muscle function. 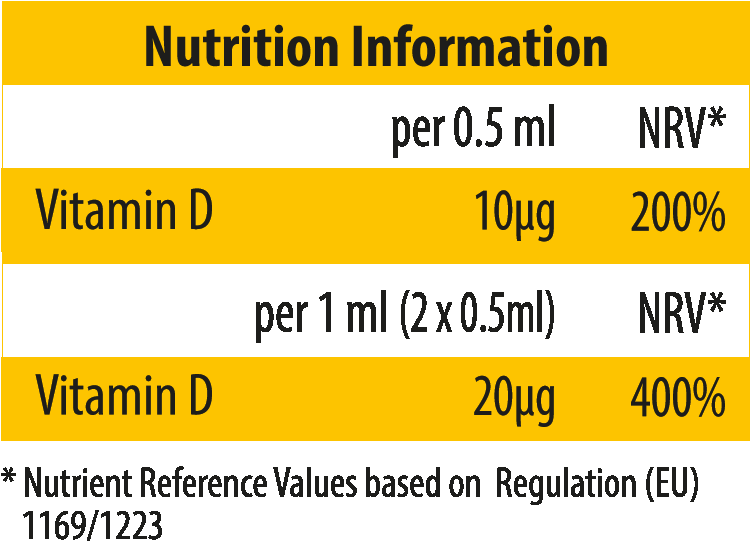 With sufficient sunlight exposure the body is able to produce vitamin D in adequate quantities. But if this exposure is too low, i.e. in the months of autumn and winter (Central Europe), endogenous production of vitamin D may be insuf f icient. 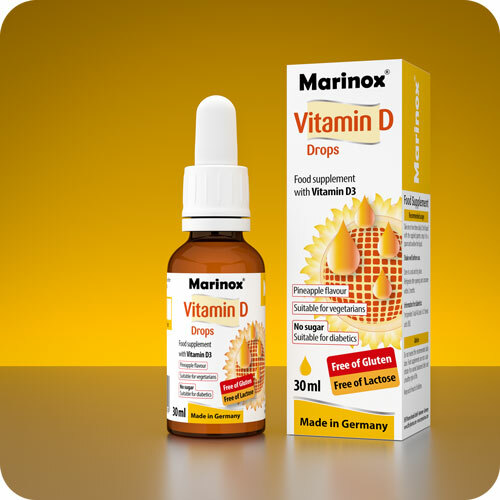 The German Nutrition Society (DGE) therefore recommends in the absence of endogenous vitamin D formation 20 micrograms ( 800 IU ) per day. Water, sorbitol, emulsifier (polysorbate), acidity regulator (citric acid), pineapple flavour, thickener (xanthan gum), preservative (potassium sorbate, sodium benzoate), sweetener (acesulfame-K, saccharin, sucralose), colour (curcumin), silicon dioxide, cholecalciferol.